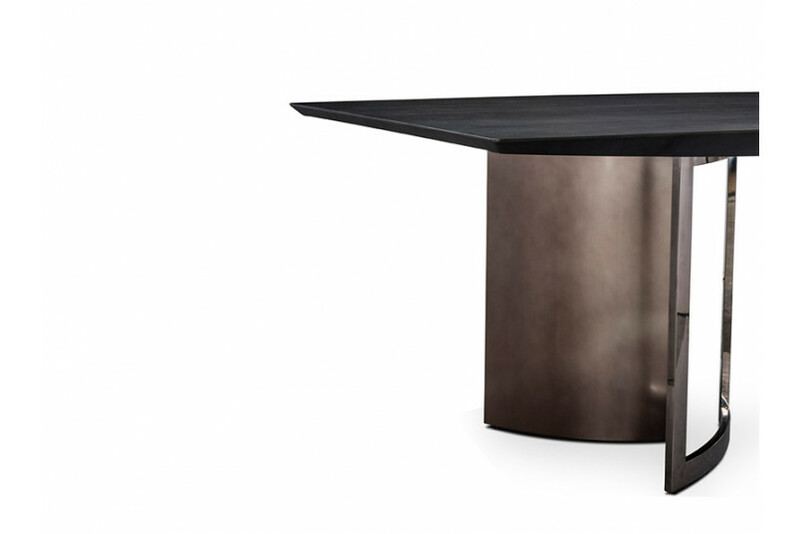 Codex dining table exudes functionality and grace. The ultra-modern design comprises harmonious integration of dark walnut veneer table top with smoky shiny black nickel plated steel frame. Designed to add depth and enliven your dining area.